Jackson's link with Wesleyan Methodism is well-established. His mother was Anne Warrener, sister of William Warrener a Wesleyan missionary; he painted several of the Wesleyan leaders including a posthumous half-length of John Wesley himself, engraved by T. A. Dean and for many years used as frontispiece to the Wesleyan Hymn Book; and he drew a collection of monthly portraits for The Evangelical Magazine from 1793 onwards, usually lettered without the artist's name. 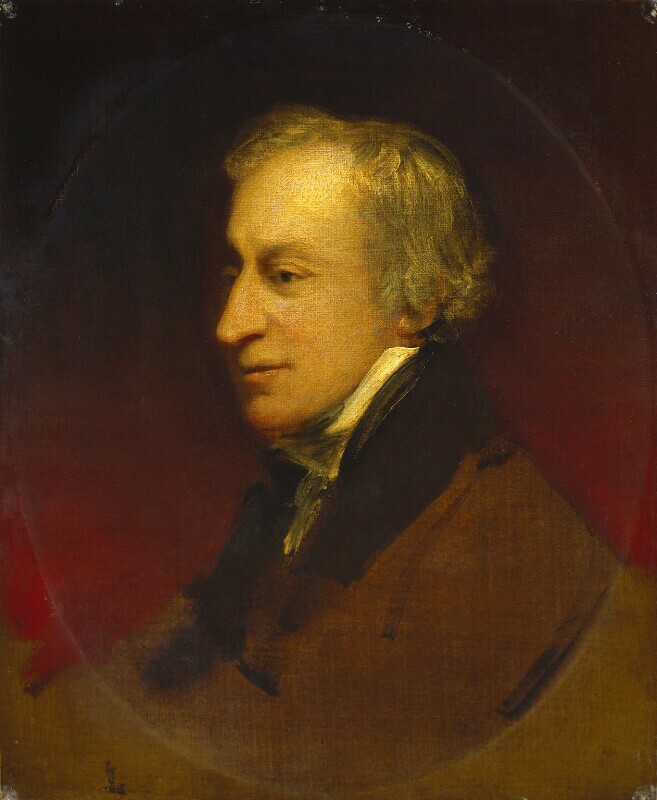 The NPG portrait of Samuel Wesley was never finished or engraved but there seems to be no reason to doubt its authenticity though H. C. Morgan does not include it in his Life of John Jackson RA (1956). It was acquired direct from the Jackson family and was accompanied by several letters and a MS form of will or 'last wishes' from the artist's widow, Matilda Louisa, dated 13 February 1872 requesting that 'The Picture of Samuel Wesley to be given to John Jackson my nephew after my departure'. Sydney Jackson in a letter to the NPG (undated but probably July 1924) mentions an 'original letter from S. Wesley to J. Jackson RA which we once had by us'; it seems to have been lent to J. B. Leslie of Morley, Yorkshire, in or before April 1893 (papers in NPG archive). There is no record of when or where the portrait was painted; Freeman O'Donoghue in Catalogue of Engraved British Portraits, IV, 1914, p 441 judges the sitter, from a photograph of the portrait, to be aged 60. Head and shoulders to left unfinished in a painted oval, brown coat, white neckcloth; grey hair powdered, dark eyes, pale complexion; plain dark red background. The artist's family possession and sold to the NPG by his nephew's son Sydney P. Jackson 1924.